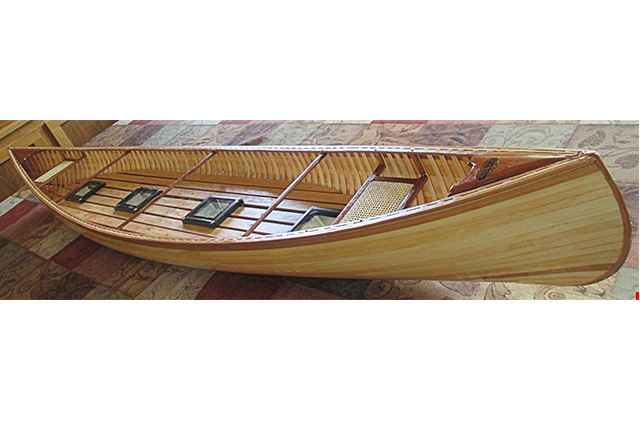 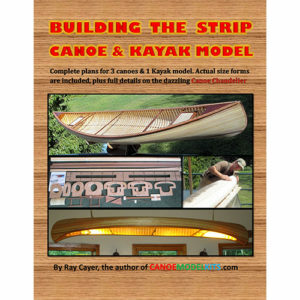 canoemodelkitsProductsUncategorized72″ Wood strip canoe chandelier. 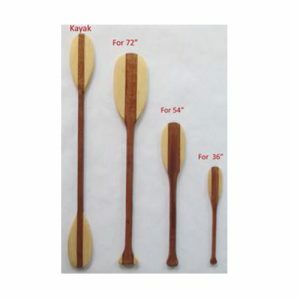 Just the right size! 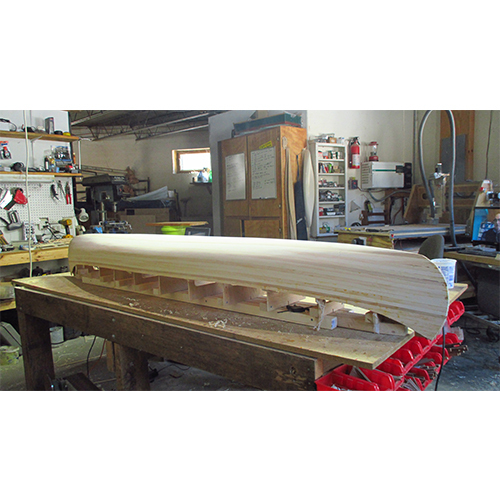 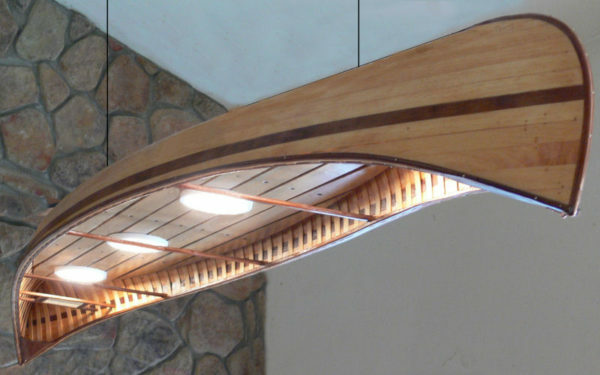 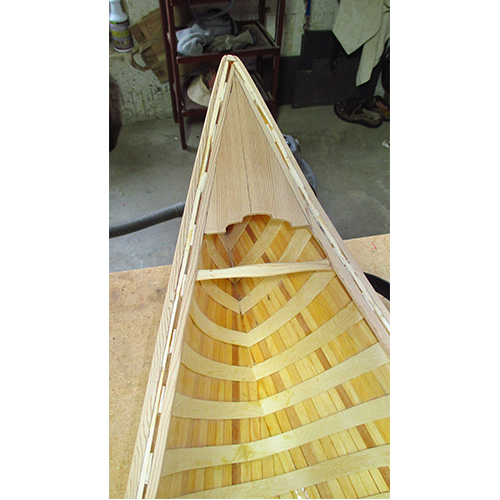 Each 72″ Canoe Chandelier comes finished in clear or stained version. 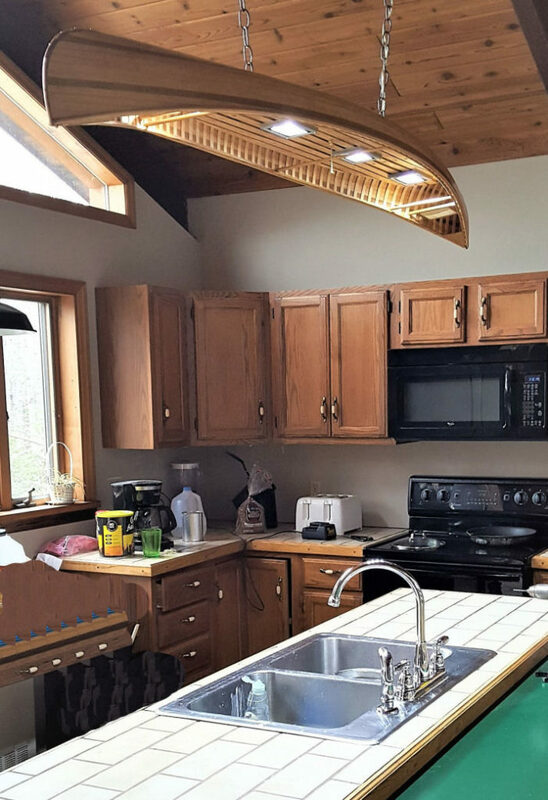 Painting is an option, any color can be chosen as long as color code is provided. 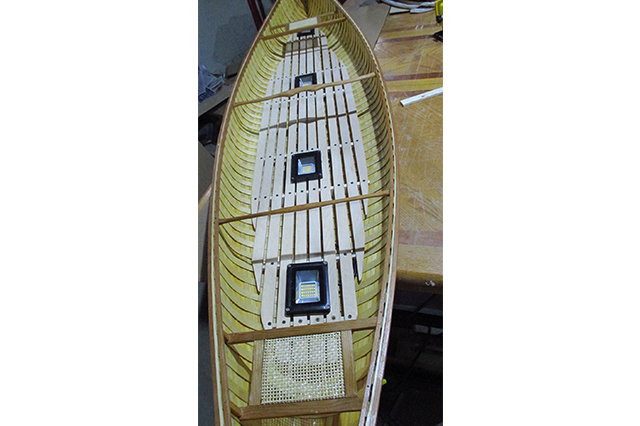 Some of the pictures shown have the older style LED lights which i no longer use. 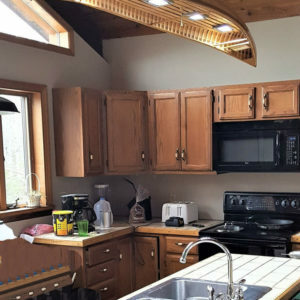 The LED Flat panels are the best light going. 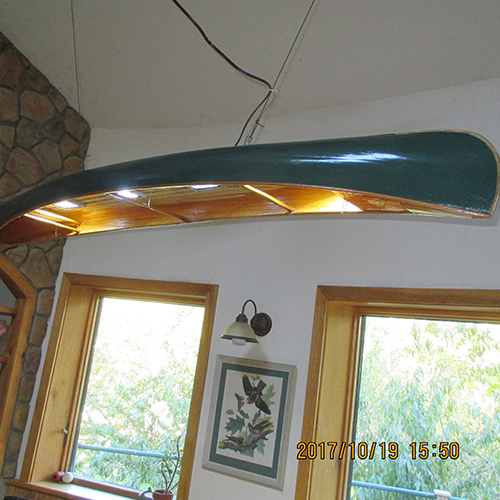 3 colors in one light to suit the occasion. 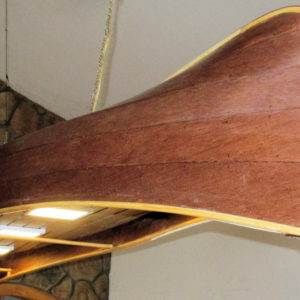 Warm white, cool white and sun white, and they are dimmable to a faint glow. Very efficient as well at only 8 watts each and boasting 5500 lumens. 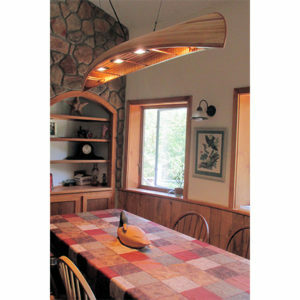 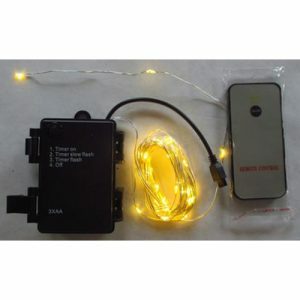 Shipping cost is another attractive feature of this size light. 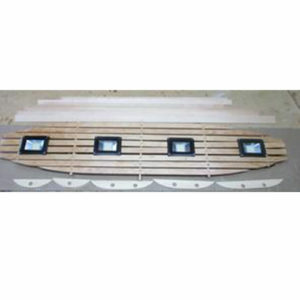 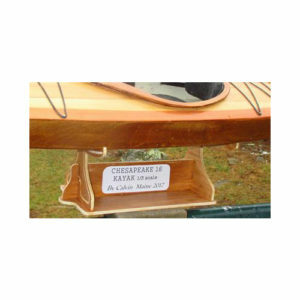 Ships in a 1/4″ plywood box to ensure delivery, UPS Ground, for approximately $140 in US.